It’s been all party party over here for the last few weeks. 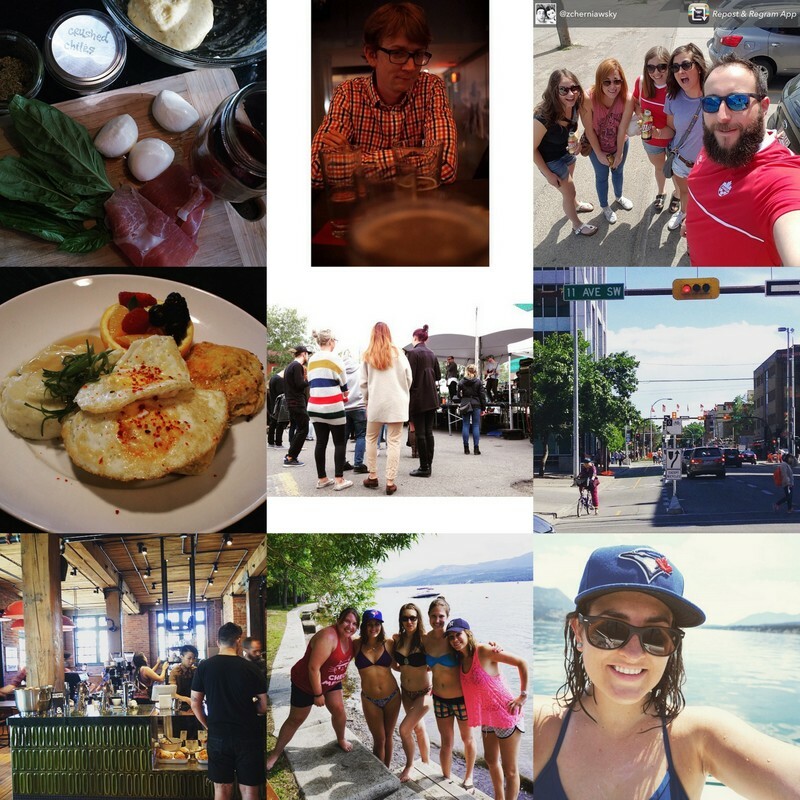 Between N being back & Stampede week, I knew I wouldn’t be blogging much, if at all. I clearly went above & beyond with the neglect. We’re back though! & I’ve got some IG photos to share! & it’s truly officially summer! 1. These ingredients are some of my favourites: homemade pizza dough, basil, prosciutto, bocconcini, & wine. Buon appetito! 2. Celebrating a very belated birthday for N with amazing cocktails, a delicious meal, & great beers with friends. 3. Edmonton for the Women’s World Cup opener. 4. Checking out the new brunch menu at Anju. As expected, it was fantastic. I have so much love for that restaurant! Breakfast, lunch, or dinner – you can’t got wrong. 5. Live music & Hanging out at Lukes Drug Mart for the pre-Sled Island party. Not a bad way to spend a Sunday afternoon. 6. The Cycle Network officially opened mid-June! I’m so happy to have a safe bike route to 17th ave now (for all my drinking & dining needs, of course!). 7. My absolute favourite building in Calgary – the Simmons Building – has a new lease on life with three incredible delicious tenants taking up residence: Phil & Sebastian Coffee, Sidewalk Citizen Bakery, & Charbar. I’m in love. 9. There are few things I enjoy more than being on or around water. Water baby for life, I’m always keen for an excuse to spend time out on that boat. Onto (the second half of) July – my favourite month! Get out there & do some summery things, friends!